"Low Radiation" is a track from STROMBOLI's upcoming debut EP for Maple Death Records, and it briskly captures an almost punk attitude to which STROMBOLI seems hell-bent on associating with ambience. A coarse, repeating beat, which sounds like small pockets of air eploding in rapid succession, gives "Low Radiation" an immediacy that is very atypical for a genre that is historically more aligned with ponderous journeys through tone and waveform than a fast-approaching horror. "Low Radiation" is an immediately graspable package that still manages to meet one of the most important requirements for ambient music: that it sounds accidental, having emerged from your surroundings through the blind luck of some uncontrollable natural process. STROMBOLI's debut EP is available for pre-order through Maple Death Records. 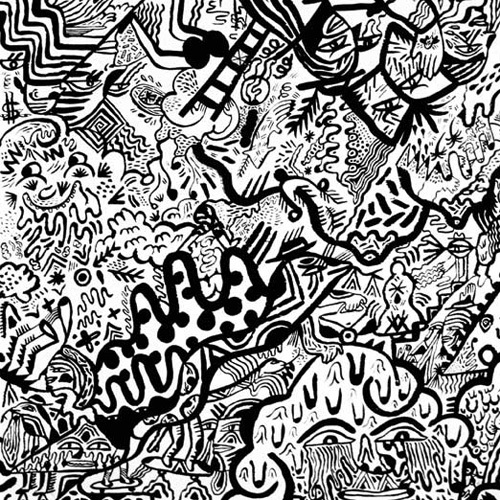 In the second part of his "Comprehensive Guide to Every Lucky Dragons Release Ever", Trey Reis introduces the project's period from 2008, after releasing Dream Island Laughing Language, until today. The piece is finished with the authors ultimate listening order suggestion. Go here to read yesterday's Part 1 of the column. I read something that suggested that Lucky Dragons are a lot like listening to an Animal Collective at 45 RPM instead of the intended 33 RPM. I always considered it a relatively valid remark for most of the band’s earlier material. 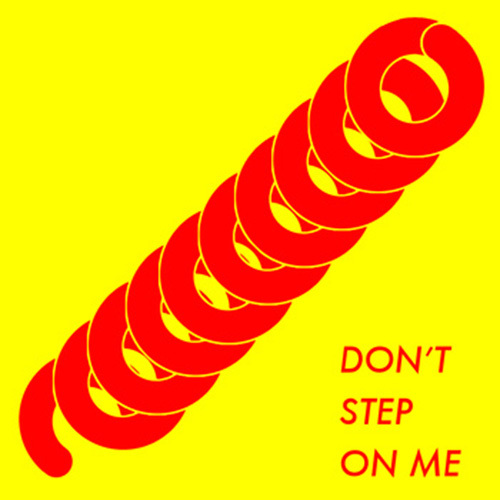 This short, simple 7" split with Ecstatic Sunshine seems to mark the turning point from that ADHD-esque old music to the slower-paced material Lucky Dragons have been exploring recently. 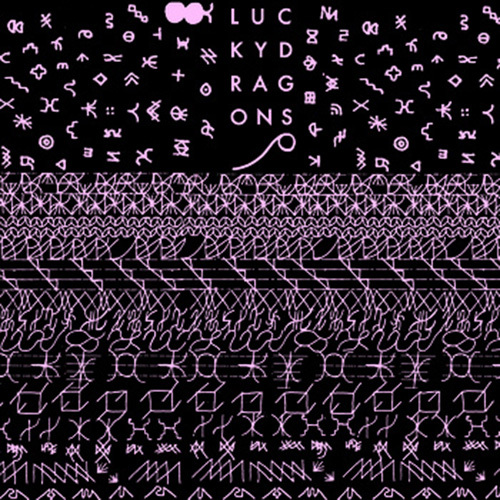 The titles of many Lucky Dragons releases tend to provide a hint toward what the material will sound like within the band’s scope. This five-song, ten-minute EP never fully allows the band’s brighter side to pierce through its shroud, but it isn’t quite their darkest material either. All five songs are primarily loop-based without much of suddenness of past albums. It’s pretty easy-listening overall, and certainly progresses the slower-paced approach introduced on the Take Turns split. This short EP is another experiment in slower-paced ambience. 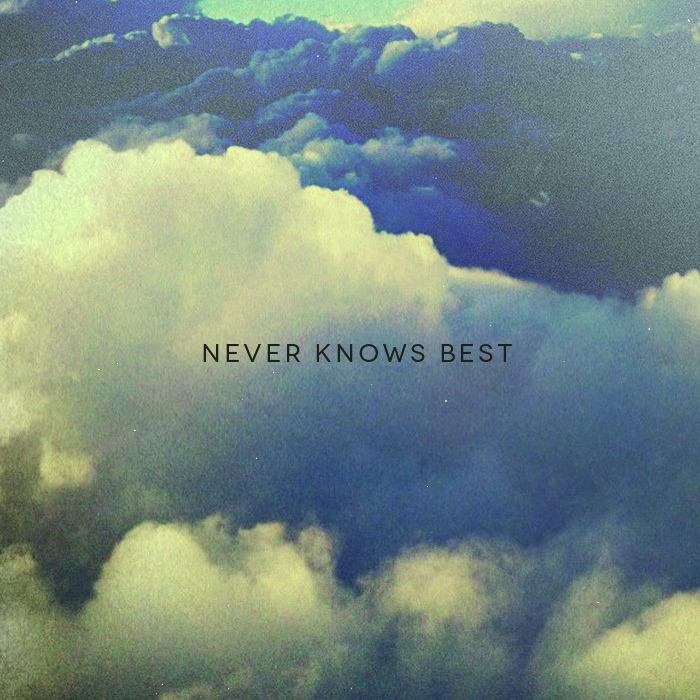 The main track, "Facedown", is a piece of drone that rises and falls over the track’s nearly six minutes of runtime, and six-minute tracks were pretty rare from Lucky Dragons up to this point. The rest of the songs pretty well follow suit, except for the last song, “ukefriend”, which is just a short recording of someone shredding on the higher notes of a ukulele. It’s a really beautiful release and a strong indicator of the band’s new direction at that time. When electronic musician Four Tet released his Ribbons EP, everyone said it was his attempt at filtering his folktronica through the slow, repetitive approach of trance music. The same thing could be said about this Open Power EP, which sounds a lot like early Lucky Dragons material slowed down to a easier-to-follow pace. It’s a great EP and one of their overall best releases. 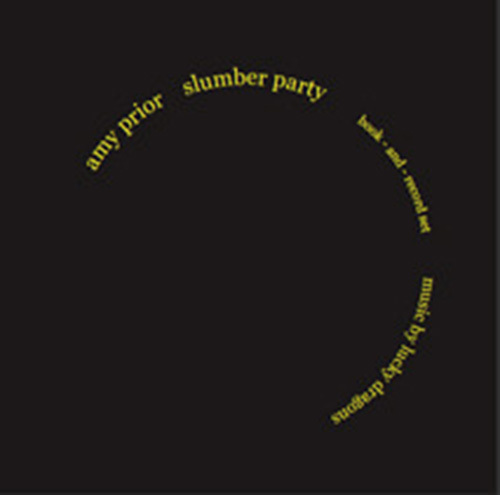 This EP is similar in a lot of ways to Slumber Party; small concepts explored more slowly over a longer period of time. 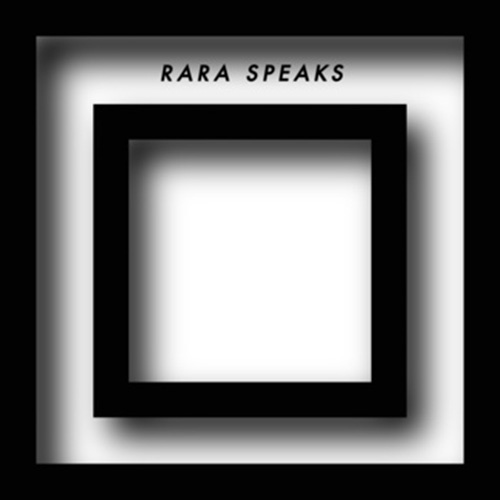 A lot of the EPs and singles that came out around 2009 explored a very similar style, which led to their compilation on the Rara Speaks album at the end of the year. Refers to a 7” single which ended up on Rara Speaks. 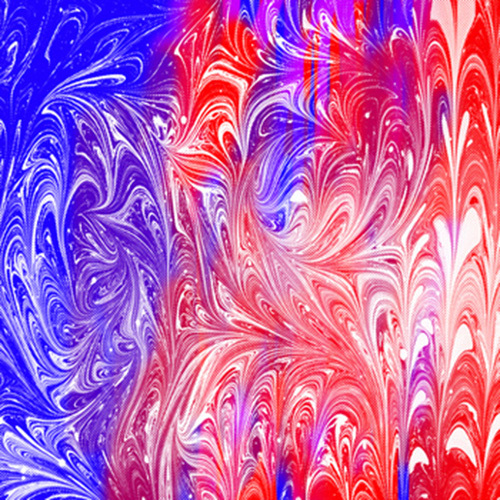 This is a strange single quite unlike any other Lucky Dragons music. It almost begins to resemble a folk song before diving into some feedback and distant vocals ringing out over empty kitchen type noises. It really reminds me of some of Baby Birds Don’t Drink Milk’s music. It’s a genuinely pleasant single to listen to, and probably the closest Lucky Dragons have come to writing a traditional song. Limited-release editions from 2008-2010, including "open power" (12", teenage teardrops, 2009), "vrais noms" (7", atelier ciseaux, 2009), "real sleep" (7", 2009), "future feelings" (cassette, 2008), "fear melody" (cassette, deathbombarc, 2008), "take turns" (7", wildfirewildfire, 2010), and a few otherwise-unreleased things too. Originally released in japan on moamoo records, then in expanded form as a home-made double cd-r and digital release! The Upward Spiral is about the first release where Lucky Dragons fully abandoned the familiarity of their old sound, and ventured forth into full ambient music territory. The title seems to refer to the different layers of sound that overlap each other as they rise endlessly upward with no beginning and no end. What others disregard for being simply ambient, Lucky Dragons manage to explore and call an experiment. Shape Tape is a kind of Part 1 to the band’s 2012 release, Long Form, using the same process of repetitive, minimalist signals being sent out in layers. The 45-minute tracks, one on each side of the tape, transform as these layers line up, disconnect, and reconfigure themselves in the sound space Lucky Dragons have shaped. A RAY ARRAY is a video directed by Sarah Rara that examines forms of visual and aural interference: from the failure of a message to be discernable, sudden interruptions, visual disturbance, the interaction of 2 sound signals, instability, and optical effects. Structured like a collection of short stories, the work is composed of 16 video chapters that explore the subject of interference using simple sets, everyday objects, and subtle special effects. When the title says ‘soundtrack’, it literally means the entirety of the sound of the film, including all of the voices and little sounds from those ‘everyday objects’. 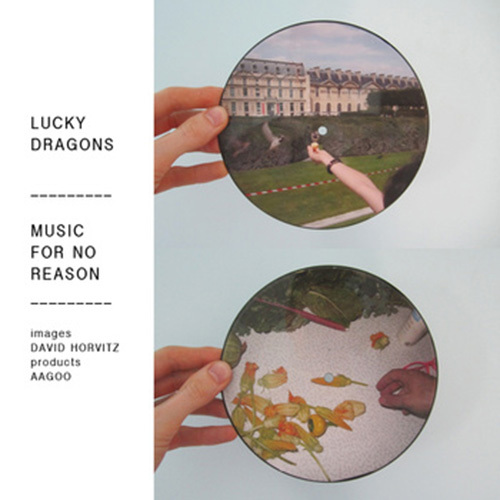 In that sense, and without the video accompaniment, this release is somewhat of a minimalist approach to using many of the old Lucky Dragons noises in a much longer form than their original, brief use on early albums. It’s interesting hearing all of those familiar sounds under a completely different context ten years later. 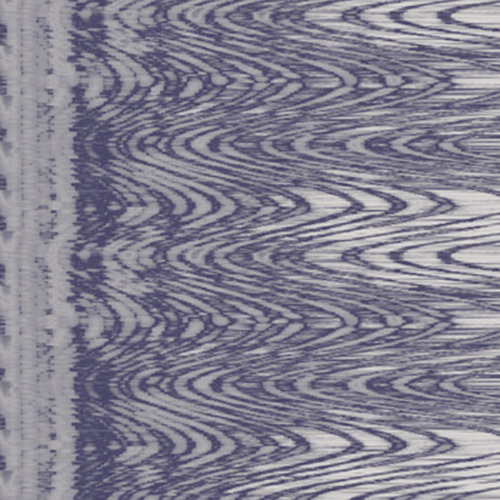 This one (obviously) has very similar vibrations to 2011’s Shape Tape, with one notable difference: the tracks on each side are much quieter and more buried in the overall sound space, making this an even more calming release. This release feels a lot like an EP that would eventually be followed by a full-length album such as Existers. It’s three tracks deep of melodic shimmers oscillating outward above beds of trickling drum noises at times, nearly reaching dance floor proportions. Existers is the first release since 2009’s Rara Speaks that actually resembles a full album rather than an exploration of some sort. It is similar in form to the Open Power EP. However, it relies much heavier on electronics and is about as close as Lucky Dragons ever comes to making music for the dance floor, which they are still quite a ways off from doing. By speeding up music made explicitly for the purpose of attaining a relaxed physical and mental state, can a listener reach such a state in less time? Is there something essential in the material of these sounds, divine frequencies, that if experienced not as a tone, but as an impulse, can provide a shortcut to well-being for the busy listener? How fast can we listen? Relax In a Hurry definitely falls more on the side of the experiment end of the Lucky Dragons spectrum. 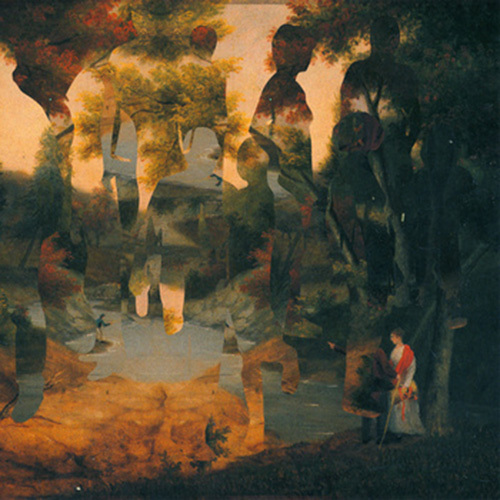 While the band has recently been exploring the range of less-layered music transforming over longer timelines, this release, as mentioned in the notes above, plays with the idea of minimal noises played for what they are in short bursts, asking the question, is it the music or the repetition that causes relaxation in the listener? We experience sound moving from live utterance to processed signal, amplified and diffused into the room. We enact a translation, listening and responding to the processed signal, attaching new layers to it, simultaneously forging and following a wave of sound that condenses into patterns and disperses into clouds. Simple video images form for us an anchor in time, progressing slowly, with action that is hard to perceive until gradual changes are made apparent. A flute, a lily, a newspaper, a triangle, a mirror, a discharge of smoke—-these visual elements provide a medium through which to perceive a specific speed, a dilated scale of time passing. 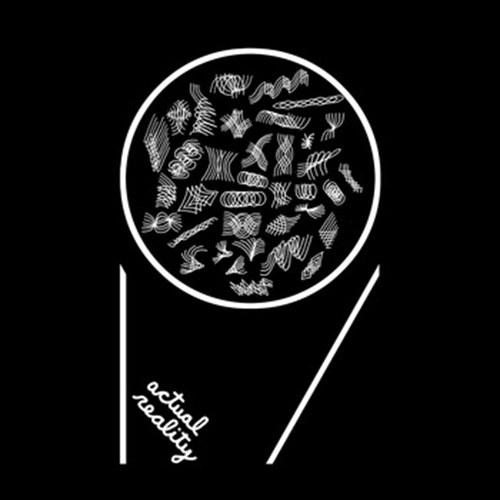 ‘Actual Reality’ is a multi-media work that develops over the course of several iterations and forms–a scored performance, an improvised response, a piece of software, text, audio recording, a video in progress–each version processing and resynthesizing previous Actual Realities. 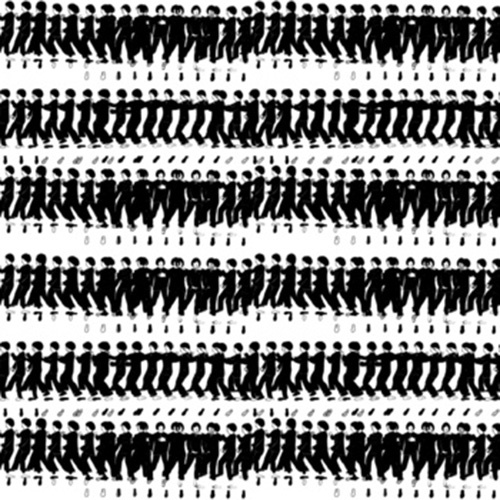 Similar to A Ray Array, Actual Reality is the music accompanying a larger multi-media project. As mentioned above, the release is a slow-moving piece of electronic exploration meant to accent the subtle changes in normal objects like a flute, newspaper, or mirror. The project is meant to blur the lines between portrayal and perception, sound and listening, in hopes of discovering the actual reality of simplicity, or the existence of an object or sound after its human essence has been broken down. Yet, despite the thought required for this release, the music of Actual Reality is certainly one of the more stand-alone enjoyable Lucky Dragons experiments. 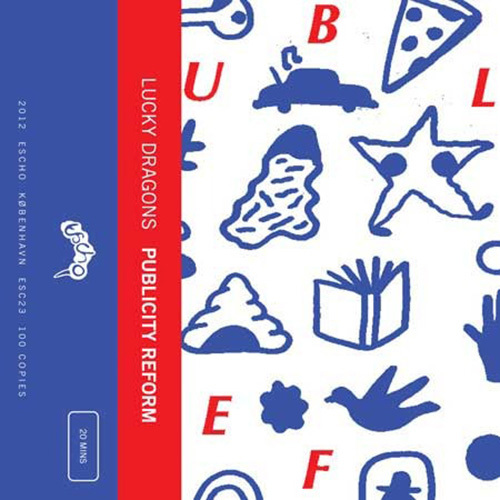 Publicity Reform is the first Lucky Dragons release in years that begins to resemble some of the band’s older material. While still heavily rooted in their current electronic techniques, the naked voices, shorter songs, and sporadic nature of each track much closer resembles the Lucky Dragons of ten years ago than the longer-form ambience of their more current releases. Like Existers, this is one I’d consider more of an album than an experiment, and definitely one worth checking out. - This will provide you a decent frame to understand the initial framework of the first half of the Lucky Dragons discography. - This will paint a picture of the longer form electronic music Lucky Dragons have been focusing on making over the past four years. 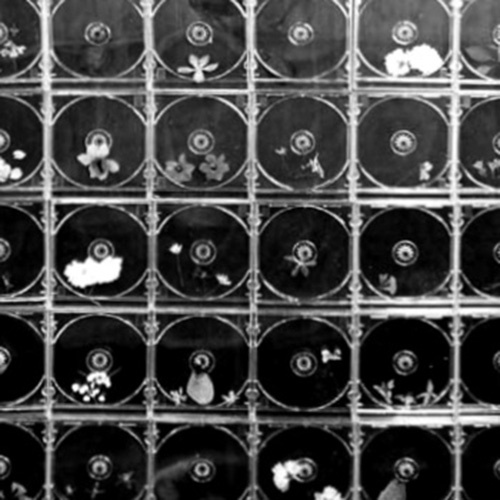 - Rara Speaks collects a lot of the singles and EPs that came out between 2008 and 2010. Those releases really allow you to see the transition between earlier albums and the kind of music the band is exploring now. 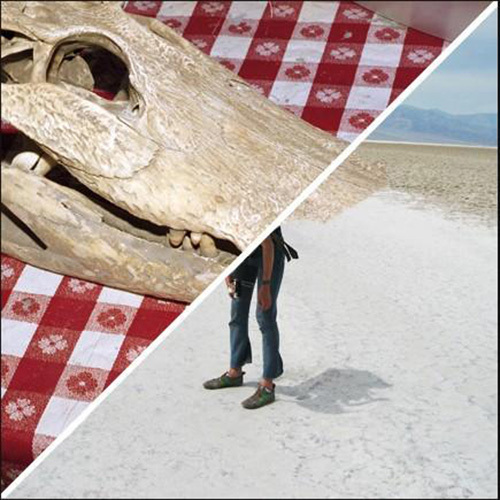 - These two releases really provide a view of the more defined, short-form material Lucky Dragons have been developing since they began as a band. - Listening to these two albums is a lot like viewing an artist’s sketchbook and understanding the groundwork that led to many of their albums. - These two albums, somewhat serving as Part 1 & 2 for each other, provide a picture of the opposite end of the Lucky Dragons spectrum wherein they take the time to explore more minimal sounds spread out over long periods of time. - These experiments in sound provide a view of the band as artists rather than just musicians and really represent the kind of work Lucky Dragons has been focusing on recently. - Their most recent album which serves as a kind of culmination of their entire career, it combines aspects of nearly every era of the band and pieces it together within the framework of their sound experiments of the past few years. That should get you a good start. 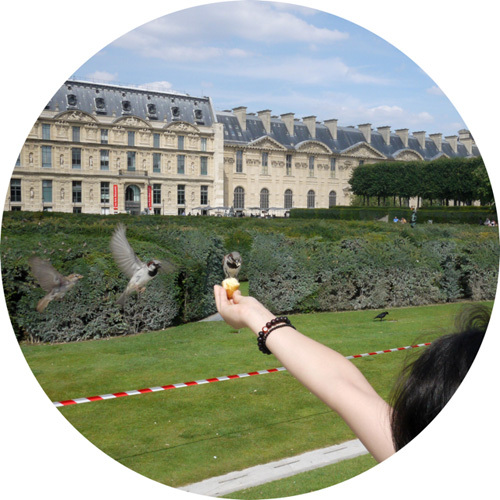 From there, fill in the gaps at your leisure, but certainly make sure to check it all out. It’s well worth the search. Happy Hunting! For his second Never Knows Best column, staff writer Trey Reis decided to delve deep into the entire discography of under-appreciated LA project Lucky Dragons. The title originally suggested for this edition was "Comprehensive Guide to Every Lucky Dragons Release Ever", which would have been even more appropriate if we had had enough space for it, because really, that's what you're getting below. 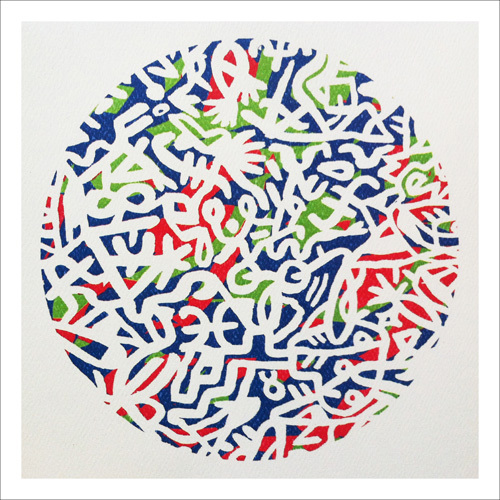 Due to its sheer length, we've decided to split it up into two parts, with the cut after Lucky Dragons seminal 2008 release Dream Island Laughing Language, the rest can be read over here. 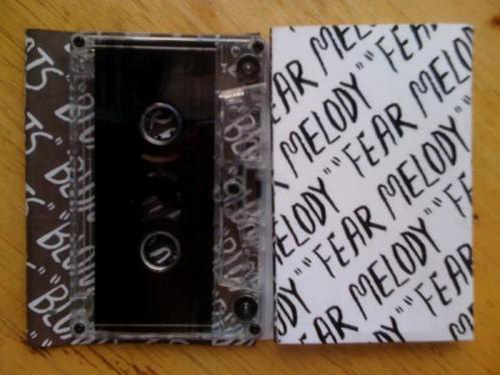 Except for this last LP, we have abstained from embedding any albums from bandcamp. However, if the respective release is available over there, the title line links to it. I will begin by saying that this guide is very long, as the list of Lucky Dragons releases expands by something like four items a year. Anything I wasn’t able to order online or procure a download of from some kind blogger via a mediafire link, I did as much research as I could which sometimes only resulted in a line or so of information about the actual physical release (edition of, screenprinted, etc.). If you don’t feel like sitting here and reading through what I have to say for every release right now, I’ll give you a spoiler: there is a rough listening order list at the very end of the second part tomorrow that you can wait for and skip ahead to if you are completely new to Lucky Dragons altogether. You can always come back here and use this guide as a reference later on. I was first introduced to Lucky Dragons by a friend at the Rhinoceropolis in Denver. He told me he woke up and drank four cups of French press coffee and listened to two Lucky Dragons records every morning and it helped him get all jittery and psyched to start the day. I left that show with a whole mix of stuff to check out, the Lucky Dragons song "My Are Singing" from Dream Island Laughing Language tucked somewhere in the middle. Now, after years of digging through record stores around the United States, scouring the Discogs marketplace for all of the limited edition stuff that sold out before I knew who Lucky Dragons were, and scrolling through pages of Google searches for free downloads, this is what I have found. 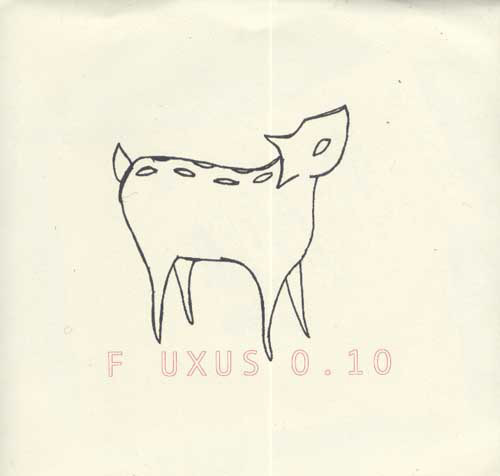 Limited to only 300 7” records released by English Muffin Records in 2000, f uxus 0.10 is the very first Lucky Dragons release. Sparse and quiet, the whole 7" hints toward later Lucky Dragons techniques like the glitchy vocal samples, Sarah’s fragile a cappella melodies, and the acoustic strums turned wall of noise. It makes all of f uxus 0.10 feel like a teaser for their first full-length album, Dark Falcon, released two years later. 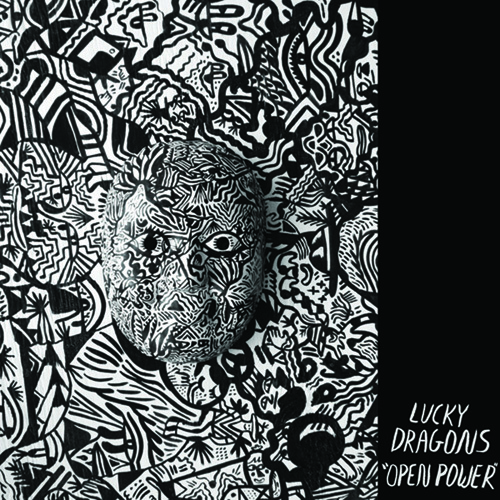 The first Lucky Dragons album, and probably my favorite Lucky Dragons release, Dark Falcon includes aspects of nearly every release that came afterward, beginning with field samples and moving through the glitchy, manipulated electronics of later releases and the organic folk elements that really defined albums like Dream Island Laughing Language. The impressive quality of this album is the way in which all of these elements, explored separately and, often, more in-depth on later releases, are combined on Dark Falcon to create the concise movement of a mechanical bird flying between ruined cities and thriving pastures. The second really short 7” on English Muffin Records is filled to the brim with vocal samples, mostly seeming to refer back to the actual recording of this release. These samples are weaved into the kind of heavy, broken beats similar to the eerier moments of Dark Falcon. Hawks and Sparrows is 18 untitled tracks filled with field samples pulled from everything between semi-trucks to poor signal FM radio metal songs to marching bands, often set over simple, moving tones not entirely different from the kind of things you may hear in drone. The difference is the pace in which this album moves, touching on the normally long-winded aspects of noise and drone only briefly before getting in the car and driving to the next destination. The combination of these environmental samples and the eerie noises set atop them makes Hawks and Sparrows a comparably dark album, never spending much time in the playful campfire folk that lightens the mood on other Lucky Dragons releases. Could not drum up a single bit of information about this one, and only saw it on a list of releases somewhere so I thought I’d include it for the sake of completeness. Assembled by Lucky Dragons in Portland, ORE 7/28/04. Numbered edition of 100 copies packaged in screened paperboard envelope sleeve. 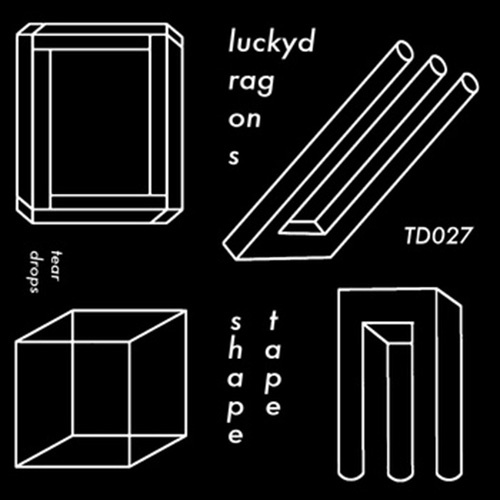 This EP is a strange release in the overall scheme of Lucky Dragons releases for one reason: a clear Mexican musical influence from pulled music samples; a technique used extensively by current musicians, but otherwise rarely, if ever, explored by Lucky Dragons in a style so un-effected and raw. Could refer to a single for the song "Trenton Street Bees". Forty-six tracks long and nearly an hour and a half worth of music, A Sewing Circle flows more like a sketchbook than an album, and what can you expect when you try to glue 46 separate Lucky Dragons un-songs together into a concise piece of music? Widows is similar to Dark Falcon in a lot of ways, in the sense that it feels like more of an album than a collection of sounds like Hawks and Sparrows or A Sewing Circle. Still very glitchy in nature, the album is a bit less dreary than Dark Falcon, comparable to the brightness of Dream Island Laughing Language. However, all of the lighter moments do arise from a kind of haze of hiss and distortion from which the entire album is rooted. In that regard, the album paints a perfect picture of the band’s change in sound between Dark Falcon and Dream Island Laughing Language. It’s definitely an essential Lucky Dragons release to check out. 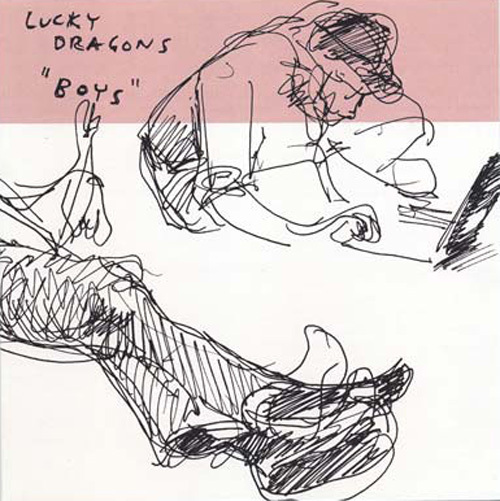 Also, my absolute favorite Lucky Dragons song, "Snowing Circle", comes in right at the end and is a six-minute masterpiece of folktronica which sounds a bit like a Horse Stories-era Dirty Three song filtered through a mountain of effect pedals. I may have gotten the ‘band’ name wrong, and the label, and everything else, but that’s kinda why I included it on this list. 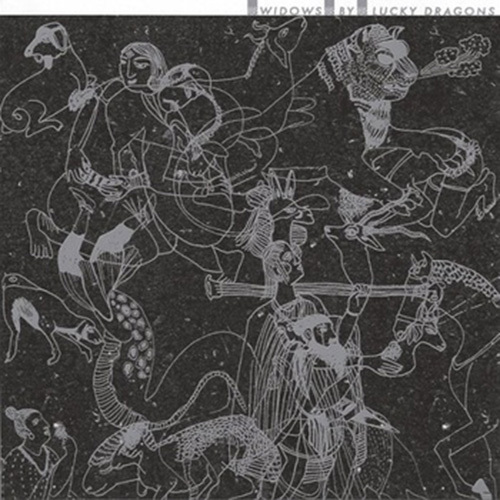 Totally left-field C25 of Luke/Lucky Dragons and someone else (his girlfriend I assume) playing peppy, pastoral David The Gnome-style flutes in a few different modes/moods (with not a single drum – of passion or otherwise – in sight/sound!!). I think the only reason I bought this thing was cause the tape itself was all fancily handpainted in this gorgeous, intricate way and when I asked David Kramer (of Family, where I got it) what the tape sounded like he didn’t even look up from his internet surfing, he was just like, ‘Oh, I dunno… I don’t think anyone here’s even listened to it.’ Strangely, that sort of functions as a fitting description. This definitely falls into the ‘didn’t need to be documented’ genre of recordings, but hey, it’s a free country, yr allowed to play goofy flutes all day long. You can even record it for no good reason and sell it to me for five bucks. I’ll buy it. Mini Dream Island seems like it should be a collection of bonus material from the album Dream Island Laughing Language, but none of the songs are actually from that album. It’s referring to a different island. This release is primarily comprised of live versions of earlier Lucky Dragons material, and remixes by a slew of other bands. The most interesting part of Mini Dream Island is the familiarity of many of the sounds placed into a live setting where they can be molded, transformed, and layered over otherwise different noises. Each of the 11 tracks on Future Feelings barely average a minute and a half long and many of the tracks don’t feel like full Lucky Dragons songs, so much as layer experimentation of old sounds either never released, or not yet fully realized to find a place on a more full-length release. But, I think this happens with splits a lot. Regardless, Future Feelings includes some of my favorite sounds from the band. "Martha’s Work", the first track off the release, is one of my most listened-to tracks, and is a really solid example of the what Lucky Dragons can accomplish on the rare occasion when they heavily incorporate vocals into their approach of soundmaking. Could refer to bonus tracks released with Dream Island Laughing Language. Bleach on Bleach is just about the darkest and noisiest Lucky Dragons release I found. 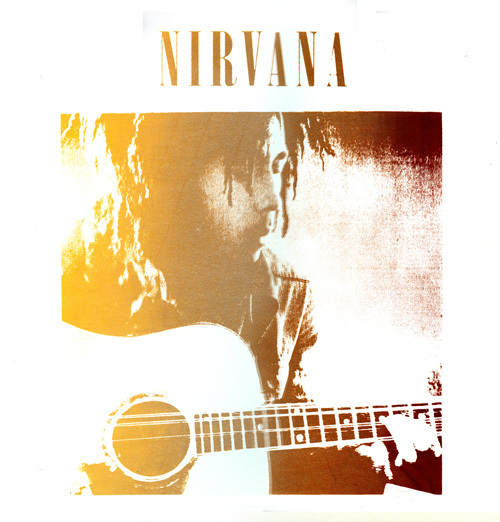 The title, album art, and song titles seem to be references to Nirvana, and most of the samples, underneath the chops and the walls of effect pedals, are either from Nirvana’s Bleach album or chopped-up covers from other sources. Only five tracks and just under 18 minutes long, this album reaches some HEALTH-like noise levels, making for a decidedly more digital noise feel than the softer folk drone of other releases. 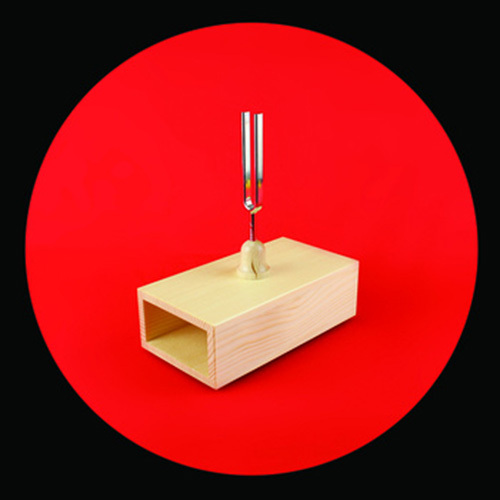 "speak your own language" collects a few recordings of lucky dragons playing a home-made string instrument with a central bridge (you might call it a "zither"). the design of the instrument, which is played by two players plucking / strumming / striking the strings on opposite sides of the bridge, is such that the actions of a player on one side of the strings effects the tone of the strings played by the other player. 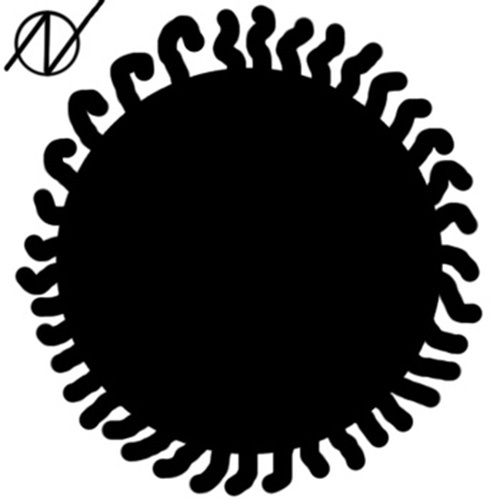 as one side of a string vibrates, bends, becomes tight or relaxed, the pitch of the opposite side responds in a mirror-like fashion. harmonies float around, not fixed in place, but come back to rest in a rough middle. the digital version (what you hear here) is different: automated noise-reduction software attempts to discern a "signal" from the background sound of the original recordings, substituting its own idea of music lol. 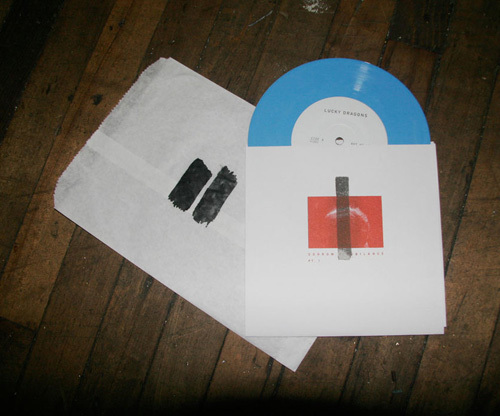 vinyl 7" comes packaged with a two-sided archival print by sumi ink club. 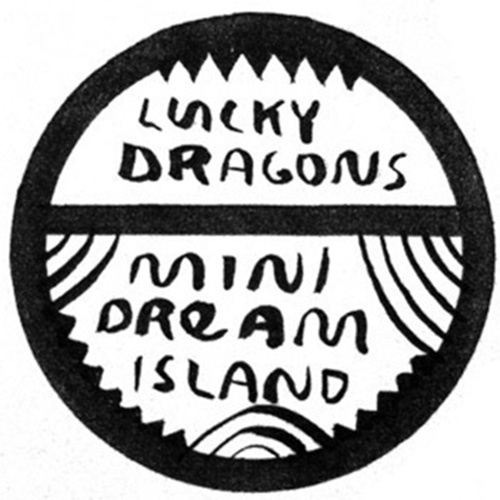 Dream Island Laughing Language is considered to be the essential center-piece of the entire Lucky Dragons repertoire, and for good reason. Dream Island falls right in the middle of the field folk elements explored erratically on previous albums like Widows and Dark Falcon. The primary reason this is the first album people listen to when hearing Lucky Dragons is due to the accessibility of these folk elements without the glitchy electronic sweeps and interludes which previously hung over these parts of music. In no way does this accessibility degrade the quality of the album though. It’s a bit like Animal Collective’s Merriweather Post Pavilion in the sense that MPP brought a huge wave of popularity to the band because of aspects of that album that, at least, vaguely resembled other aspects of modern electro-pop bands. 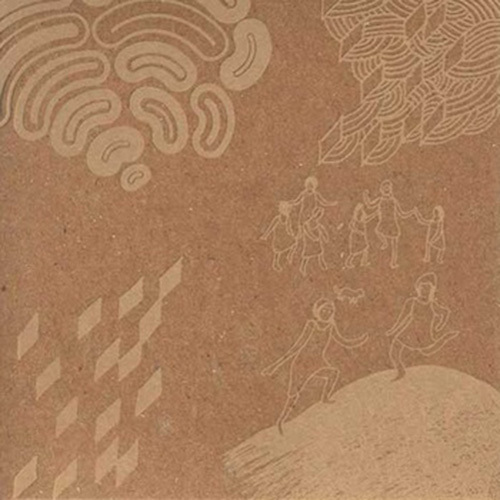 Dream Island Laughing Language is a great album to get into Lucky Dragons, highlighting the beauty in their noises without many of their normal factors that people consider to be non-musical (what people often call 'post-music' when referring to Lucky Dragons). Go here for the second part of Trey Reis' essential guide to every Lucky Dragons release ever, from 2008''s Take Turns split with Ecstatic Sunshine to the most recent material, plus a comprehensive, immensely helpful 'Listening Order List' to top the piece off.